Looking back a tumultuous year, here are 11 stories that especially caught my attention. 1) Donald Trump is still standing, and standing strong at that. 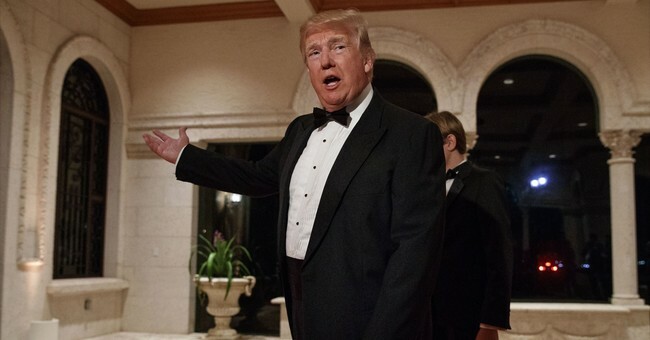 Despite calls for his impeachment (and even death), despite claims that he was losing his health, his mind, and his grip, despite an unprecedented media bombardment, and despite his own gaffes and missteps, the president seems stronger than ever, with a sense of momentum entering the new year. Not only did he get his tax bill passed, but he has fulfilled a number of key promises to his conservative base, including the appointing of a significant number of conservative justices to lifelong, federal judgeships. 2) The US has finally recognized Jerusalem as Israel’s capital and declared our plans to relocate our embassy. So, after 22 years of waffling and delaying, one of our presidents has turned our words into actions. He has kept a sacred promise. So far, it has not resulted in an apocalypse in the Middle East or the larger Muslim world. 4) The Iranian protesters have the vocal support of key American leaders. In contrast with the glaring silence of the Obama administration during Iran’s protests in 2009, President Trump and other American conservatives have expressed vocal support for the current protests. 5) ISIS is really collapsing. Although it’s difficult to tell know many isolated individuals around the world have been influenced by ISIS for the cause of Islamic terrorism, it’s clear that the main body of ISIS fighters is falling apart. They have lost the great swaths of territory which they brutally conquered, and they continue to be on the run as American generals are given a free hand to do what they do best: destroy an evil enemy. Millions in the Middle East are starting to breathe a sigh of relief. 6) Some of the biggest players in the mainstream media produced undeniably fake news. From CNN to the New York Times to NBC, some of the biggest names in the liberal media have lots of egg on their faces. It remains to be seen whether this was the result of their antipathy to Trump, their desire to get the lead on the latest “breaking news,” or simply shoddy journalism. Whatever the cause, it heightened our suspicion of the news we hear and see and read every day. 7) There are a whole lot of prominent men who use their positions of power to take advantage of women and others. The list of those exposed for (or, accused of) sexual sin reads like a who’s who list of major players in Hollywood and beyond. Need I say anything more than Harvey Weinstein and Matt Lauer? Ironically, the same year which saw Mike Pence ridiculed for his personal sexual ethics ended with NBC reportedly taking somewhat extreme measures to enforce that which resembles the Vice President’s personal practices. 9) There were horrific, unspeakably evil mass murders. From the slaughter at First Baptist Church in Sutherland Springs, Texas, killing 26 and wounding 20, to the Las Vegas massacre, killing 58 and wounding 515, innocent blood was flowing in our land. And who would have thought that three full months after the Vegas shooting, we would still know next to nothing about the shooter’s motives or how he was able to carry out his plan? 10) The Russia investigation is still with us. When Trump’s alleged collusion with Russia was first floated as the key to how he won the election, those on the left seized the story while those on the right mocked it. When the dust finally settles, it will almost certainly be those on the right who are gloating. Yet the fact that something as ostensibly fake as this accusation has gained such media traction, not to mention Robert Mueller’s ongoing special counsel, is positively galling to millions of Americans. 11) Corruption is being exposed in high places. Will Hillary Clinton finally get her day in court? Was there an attempt by FBI leaders to derail Trump’s presidency? Do major players with major government organizations have reason to be afraid? 2017 has set the stage. We shall see what 2018 brings. And did I mention that, somehow, President Trump is still standing, and standing strongly at that?